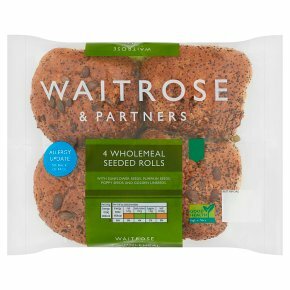 A pack of 4 rolls made with wholemeal flour and seeded with sunflower, pumpkin, sesame and pumpkin seeds. They are proved longer to give a deliciously moist texture. Allergy Advice For allergens, including cereals containing gluten, see ingredients in bold May also contain nuts, peanuts and sesame. May contain: peanuts and nuts.